Everything you need to know about signing contracts in Studio Ninja. Your clients can electronically sign your contracts and so can you! If you haven't read the following two articles about creating contracts and sending contracts, I would suggest you do that first. How to get your client/s to sign your contract? 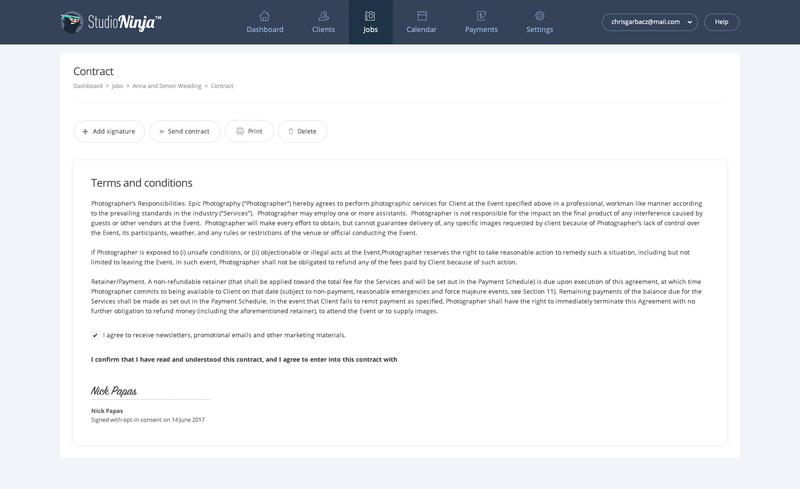 Your client will read your contract and when they're ready they will click the 'Sign Contract' button at the bottom of the contract. By clicking this button a lightbox will appear asking them to add their full legal name which when saved, will create their digital signature. 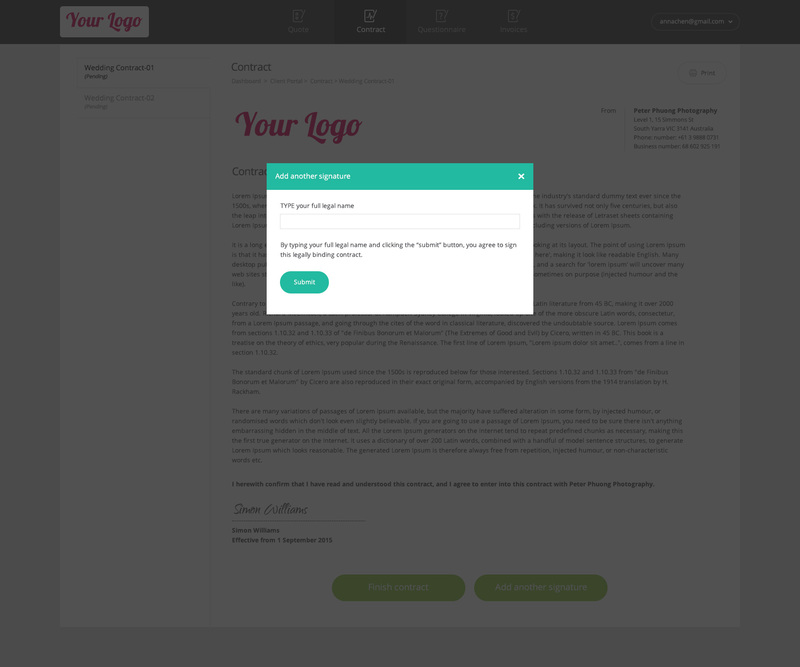 Once signed, there will be an option for your client to add another signature. This is optional but you may want the bride and the groom to sign your contract/s for example. You can also sign these contracts electronically if you wish. If you go to the Job Profile page and click on the 'View' button located in the contract box you will be taken to the View Contract page. 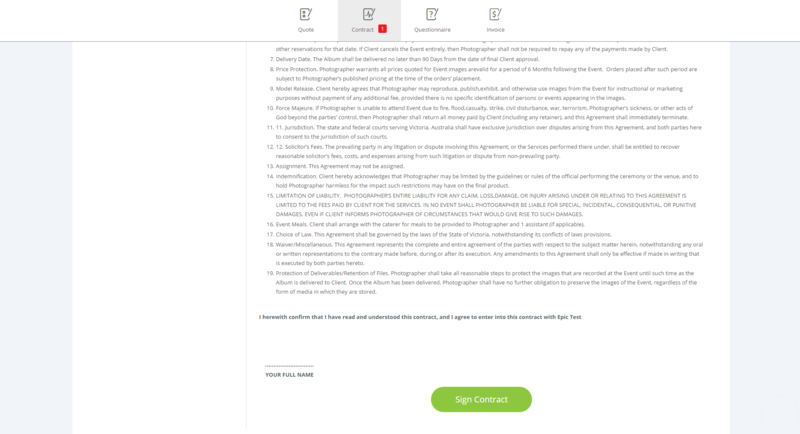 Once you arrive on the View Contract page you will find a button in the top menu called 'Add Signature'. Click it and add your signature. 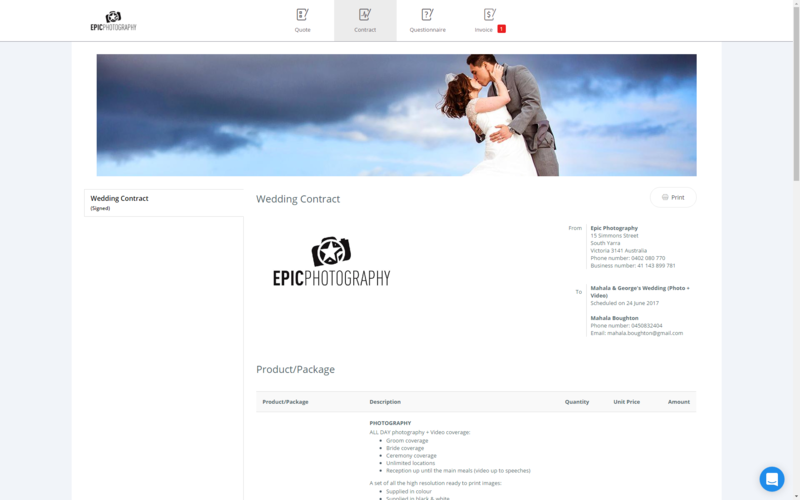 Now you have a contract that has been signed by yourself and your clients. Feel free to resend this contract back to your client so they have a copy. Note: If you have GDPR enabled, you will have the capability to add a consent check box here.